What’s better than a Lucky Pokemon? Guarenteed Lucky Pokemon. Those powerful Lucky Pokemon that require less stardust to power up will now be guaranteed as long as the traded Pokemon has stayed in its original owner’s box since July 2016 to August 2016. Still, if or your friend has 10 or more Lucky Pokemon, the guarantee won’t be in effect, give others a chance. How many Lucky Pokémon do you have so far? Professor Willow has unearthed another discovery related to the nature of Lucky Pokémon, and now trades that result in Lucky Pokémon are more beneficial to both Trainers! The nature of Lucky Pokémon remains the same: the more time a Pokémon spends in a Trainer’s Pokémon storage, the higher its chance of becoming a Lucky Pokémon when traded. Starting now, if you trade a Pokémon that has spent time in a Trainer’s Pokémon storage since July 2016 to August 2016, it is guaranteed to become a Lucky Pokémon! Plus, Lucky Pokémon that result from a trade will be more powerful than ever before! 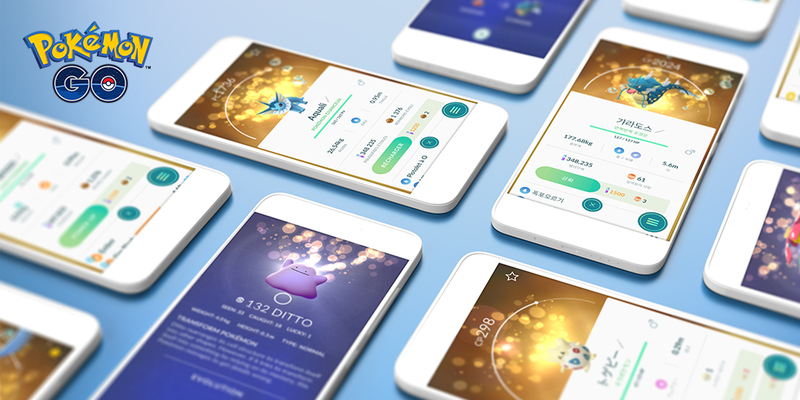 Lucky Pokémon will still require less Stardust to power up, so your new Lucky Pokémon can quickly become much stronger! If either you or your friend has received 10 or more Lucky Pokémon, the guarantee won’t be in effect, so keep that in mind! Now is the perfect time to bring old friends back to Pokémon GO and work together to complete your Kanto Pokédex! So best of luck, Trainers! Stay safe, and happy exploring! So gather those long time trainers and get those Lucky Pokemon!